Being a responsible pet owner is not always fun and games. Often it’s hard work and difficult decision making. 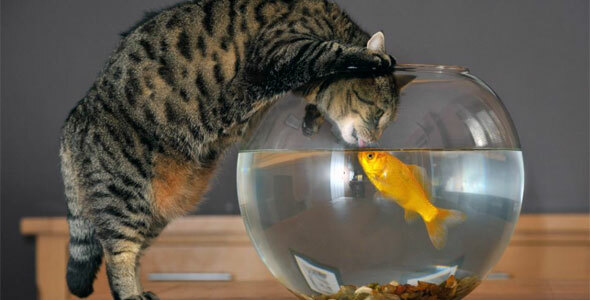 One of the most difficult decisions that a pet owner has to make is the decision to euthanize your pet; even fish owners may someday face this difficult decision. 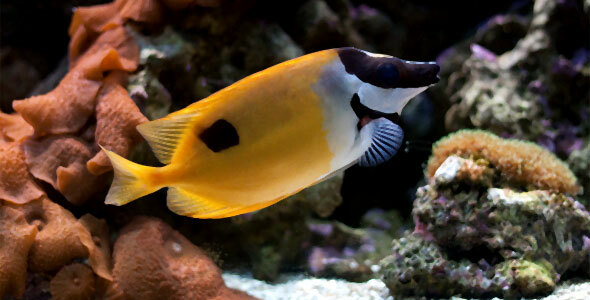 There are a number of reasons that a fish may one day face euthanasia. Disease, injury, and even culling of fry are all reasons that a potential owner may consider euthanizing. Certain disease such as dwarf gourami iridovirus, wasting disease, and advanced Hexamita are considered fatal and dangerous for healthy fish. In order to spare your tank and your sick fish, euthanasia is the best option. Remember, some fish will eat deceased tank mates and if a tank mate has died from one of these diseases, it can quickly and easily spread to your other fish! If your fish has one of these, an immediate decision regarding euthanasia may be necessary. Neon Tetra Disease – Also known as Pleistophora hyphssobryconis, it affects more than just Neon Tetras. There is no known cure for this disease and the only treatment is the removal of a sick fish from the healthy. Caused by the sporozoan Pleistophora hyphessobryconis, the spores enter a fish that has consumed contaminated materials and moves into the intestinal tract where embryos will burrow through the walls and produce cysts with the muscle tissue of the fish. Host muscles will then begin to die, becoming necrotic and pale before turning white. Fish will display symptoms of restlessness, loss of color, lumpy body, difficulty swimming, curved spine, and may develop secondary infections such as fin rot and bloating. Chronic Wasting Disease – All fish are susceptible to this disease, also known as Mycobacteriosis. If your fish begins to show signs of lethargy, a lack of appetite and sudden weight loss, fin or scale loss, inflammtation, ulceration, edema, peritonitis, and muscle nodules, they should be examined by a veterinarian. Mycobateriosis is caused by gram-positive microbacteria that form colonies and may be caused by contaminated food. 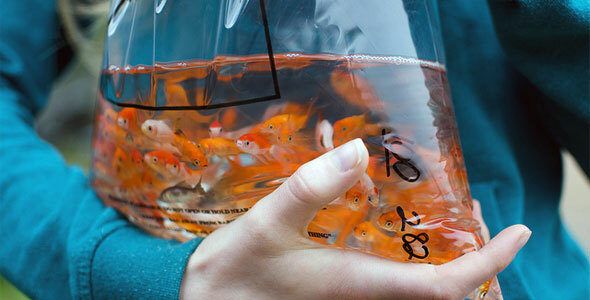 Treatment involves the administration of Kanamycin and Vitamin B-6 for a quarantined fish. Hhowever, owners should be aware that this disease can be transferred to humans. 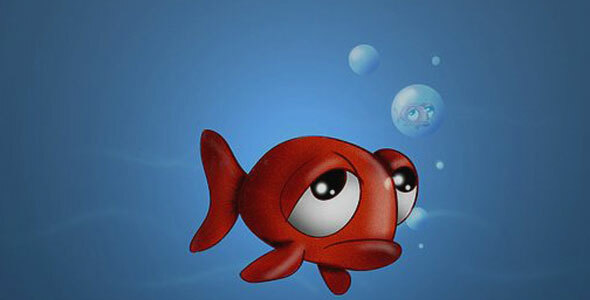 Dropsy – Dropsy is caused by poor water quality and causes the fish to swell because they are suddenly absorbing water faster than their bodies can eliminate it. Symptoms include a fat belly while not pregnant, massive swelling, bulging sides and stomach, scales that are about to pop off, scales forced outwards due to swelling, and popped out eyes. While dropsy is not highly contagious, fish often die from it and it is considered the hardest internal bacterial infection to cure. Poor water conditions are often the culprit and you will want to seek veterinary advice on how to treat and prevent dropsy if your fish develops it. Hexamita – A disease caused by intestinal protozoans, Hexamita is often seen in conjunction with hole in the head diseases. However, both require separate treatment. Symptoms of Hexamita include white and slimy feces, darkening of the scales till they turn black, swimming backwards, weight loss, collapsing skull, and nutrient deficiencies. Seek veterinary advice on how best to treat this disease and hole in the head if your fish begins to show symptoms. If you are breeding fish, you should be prepared to euthanize portions of your fry. Part of being a responsible breeder is eliminating bad genes from the gene pool. Those fish considered “belly sliders”, those with deformed spines, and those with other malformations will need to be euthanized. Sadly, it is just not feasible to spay or neuter a fish in order to remove these defective genes from the gene pool as you could do with a larger animal. Remember to NEVER flush a dead fish or a fish that is perceived to be dead. This can spread disease to local waters! If you have to euthanize and dispose of your fish, consider burying the body deep in the backyard, wrapping it in a bag and placing it in the trash, or cremating it. Be sure that if you dispose of the body through the trash or burial that it cannot be recovered by scavengers such as rats. Next Article Should You Give Fish as Gifts?